Dixson Dynamics founder, Donzell Dixson, got his first speaking experience as a Michigan Tech business student. Heading back to campus as the keynote speaker for the 30th annual Michigan Technological University Dr. Martin Luther King Jr. celebration banquet was a pinch-me moment for 2014 finance graduate Donzell Dixson. It wasn’t that long ago, where instead of inspiration and confidence, Dixson waded through self-doubt. Today, Dixson resides in Minneapolis and is employed by Target Headquarters. The Saginaw, Michigan, native first experienced campus by way of the MiCup Scholars Program, a collaboration between three Michigan community colleges and Michigan Tech, which encourages low-income and first-generation college students to continue to follow their dreams of higher education. The initiative is specifically geared toward students interested in science, technology, engineering, and mathematics (STEM). “MiCup was really the first and only time I got to see firsthand what Michigan Tech was all about. That’s how I knew it could be for me,” he recalls. Coursework was rigorous and with support Dixson rose to the challenge. 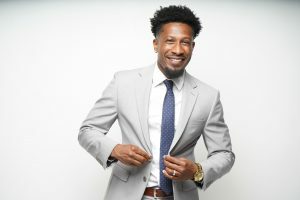 “Getting connected with the Center for Diversity and Inclusion was critical for me. My relationships there helped during times of struggle,” he says. A college internship with Target headquarters has evolved into a diverse technical career for Dixson. “Colleagues will often assume that as a business graduate I might not have a handle on the highly technical aspects,” Dixson explains. He became even more motivated to learn, challenging himself to master coding and develop mobile apps. Management took notice. He has thrived in software engineering roles with the company and is now a business analyst. 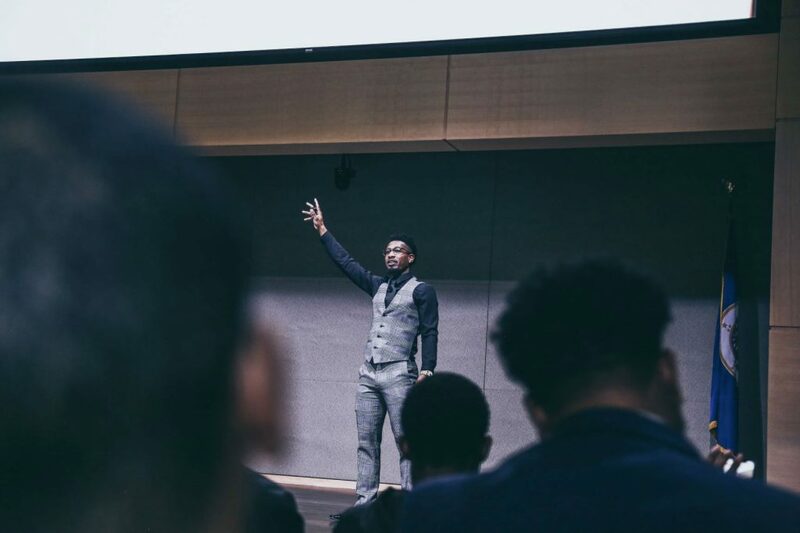 In 2017, Dixson, who recalls his first-ever public speaking experience as an APMP student, founded Dixson Dynamics, whose mission is to educate, motivate and guide others to achieve their goals through a plan. 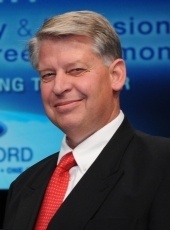 He and his business partners have spoken to schools, colleges, organizations and businesses about how to not only create a plan but to put it into action. 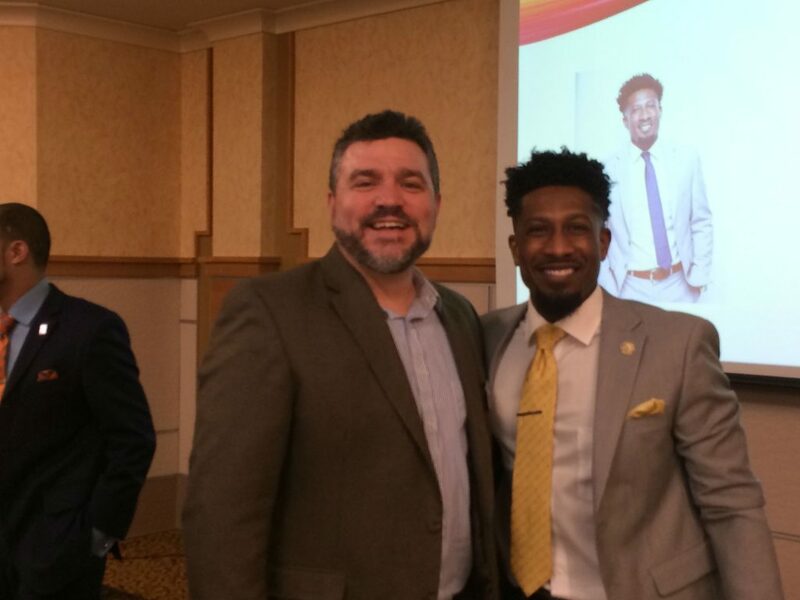 Reconnecting—Donzell Dixson stands with his former finance professor, Dean Johnson, now dean of the School of Business and Economics. Just as Donzell Dixson has evolved, campus continues to, too. Dixson believes in President Koubek’s leadership and his mission to diversify Michigan Tech, providing more opportunities and experiences like his to even more students. Alumni Spotlight: Tim Spehar at Therma-Tron-X, Inc.
Last year during Career Fair, Tim Spehar ’17 was an engineering management student. 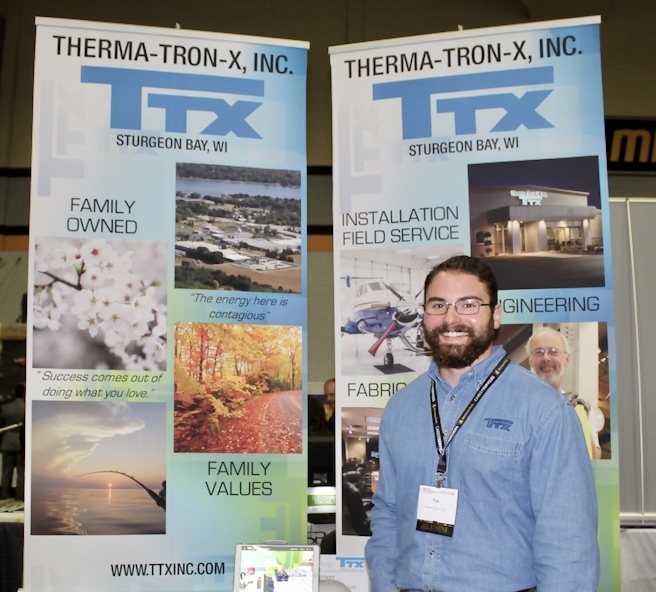 This year, he’s back on campus—as an alumnus and recruiter for Therma-Tron-X, Inc. (TTX), a custom industrial finishing systems manufacturer with locations in Sturgeon Bay, Wisconsin, and Chicago, Illinois. Tim serves as a project engineer, managing the design, fabrication, installation, and startup of equipment. “Our organization is flat, so I report to the VP of Engineering, the VP of Special Projects, and our CEO.” At any given time, TTX project engineers like Tim are in charge of 10 mechanical designers during the engineering phase, up to 20 fabricators who assemble subsystems, and 10 on-site installers who erect the system for customers. Once the machine is assembled, Tim’s team travels to the client facility, working multiple rotations as field engineers to start-up and test the equipment, training the customer through the entire process before handing the keys over. The rigor doesn’t phase Tim. For Tim, getting the job done well is the number one goal—but it hasn’t come easy. 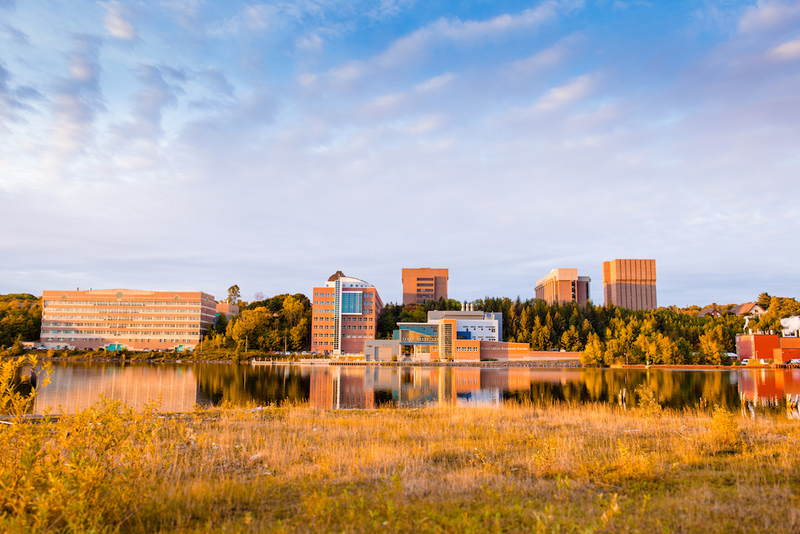 The Innovation Center for Entrepreneurship, a collaboration between the Pavlis Honors College and the School of Business and Economics, announces a mentoring opportunity for students to meet with successful Michigan Tech alumni. During Innovation Week (Oct. 15-18), Kanwal Rekhi ‘69, along with other 14 Floors members, have generously offered to meet one-on-one with entrepreneurial-minded Huskies. Students who have an innovative technology, solution, idea, and/or prototype that they would like to get in front of an experienced entrepreneur to talk market assessment and commercialization potential, should apply for the mentoring opportunity. Limited times are available. This initiative is part of Michigan Tech’s 14 Floors. 14 Floors is a series of events and activities designed to build momentum and enable culture change on campus. Core initiatives focus on fostering entrepreneurship and high-tech innovation within a global culture and economy. Cross-disciplinary activities led by faculty and staff focus on students and are held on and off campus. The effort is made possible through alumni support.